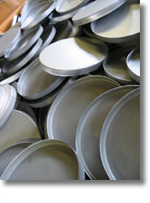 Cornell Engineering has long been a leading manufacturer of distributed-sound metal-work. We have an extensive line of speaker baffles and enclosures for 4" and 8" speakers as well as a wide range of mounting options. 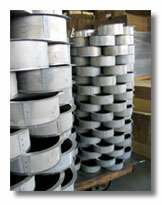 Baffles are constructed of Commercial Quality steel and powder-coated for an attractive and durable finish. Available as either standard screw-mount or torsion-spring mount. Standard enclosures are constructed of corrosion-resistant Galvanneal steel. Surface mount enclosures are powder-coated to match the baffles. Custom enclosures and mounting hardware can be manufactured to your specifications.